270,000 people are marooned in the hopelessness of Dadaab, the world's largest refugee camp. But one extraordinary Somali girl found a way out. If Fatuma Omar Ismail was an ordinary Somali girl, she might well have been traded for some cows or a couple of camels by now. At 15, she's at prime marriageable age and as the daughter of a poor family, her bride price would be a comparative bargain. Luckily Fatuma is anything but ordinary. 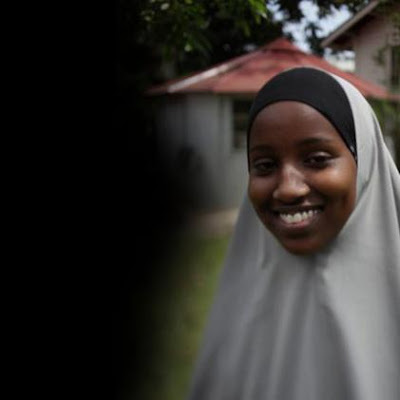 Born in the war-ravaged Somali city of Kismayo and raised in the world's largest refugee camp on the border with Kenya, Fatuma Omar Ismail now spends her days in the leafy surroundings of Nairobi's best girls' school, Kenya High. She got there by beating every other student in north-east Kenya. At first, the young Somali can appear to be shy but that exterior belies an inner strength born of an intense competitive spirit. Asked to test a microphone by saying the first thing that comes into her head, she replies: "Number one." In Kenya, access to secondary school depends on your mark out of 500 in an exam sat at age 13 or 14. A mark of 250 or more is considered good. Anything over 300 for a girl, in a system which still favours boys, is exceptional. Fatuma scored 364. Grace Wachuka, an education specialist with the non-government organisation Care International, worked in the refugee camps at Dadaab for five years and has taken a special interest in Fatuma. "In Kenya," she says, "for a girl to get over 300 marks means she is very bright. For a girl to do that in Dadaab is outrageous. Fatuma is one in a million." When Fatuma talks of her life-changing exam results, she is a picture of frustration. "I was expecting to get 400-plus," she grumbles. "But the moderators cut some marks I think."